One of the primary missions of Hope From Harper is to bring hope to kids with cancer by funding childhood cancer research. It is probably not hard to imagine that finding, vetting, selecting and ultimately funding quality and impactful research projects is not an easy task. The idea of establishing and operationalizing an entire grant making process is something that is extremely daunting, especially for a young organization like ourselves. In order to clear this hurdle we have partnered with a much larger and established organization that Hope From Harper supporters likely recognize - The St. Baldrick's Foundation. In March of this year, shortly before officially founding the Hope From Harper charity, friends and family of Harper came together as a team participating in the Louisville St. Baldrick's Community Event. Through this head-shaving event the Hope From Harper team shaved countless heads and raised almost $75,000 as part of the more than $155,000 raised at the event. The St. Baldrick's Foundation is one of the premier organizations funding childhood cancer research. Since 2005 the foundation has awarded more than $154 million to researchers for childhood cancer research. We have now officially expanded our relationship with The St. Baldrick's Foundation. While we will continue to help drive head-shaving events (as well as other, non-head-shaving events - stay tuned for more there...) we have also established The Hope From Harper Hero Fund. In establishing this fund, we have committed to raise and provide funds to St. Baldrick's in an amount no less than $10,000 a year (though we expect our efforts to raise a lot more). In exchange for this commitment, we have the opportunity to designate the area of research we would like our funds to benefit, which will initially be funding research in the area of stem cell transplantation survivability. 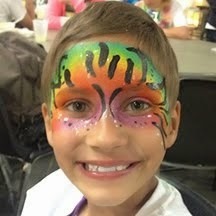 We are currently working with St. Baldrick's to get a dedicated Hope From Harper Hero Fund website established, and we will share the link once it is available. This is an extremely exciting time for us as we work to lay the foundation of our organization and start to accomplish our work. The expanded relationship with St. Baldrick's will help jump start our efficient support and impact in the area of childhood cancer research. We can't wait to share more information about other programs in development as they become formalized. We want to thank all those who continue to support Hope From Harper, helping us to establish and spread the word about Harper's legacy of love and hope. Your invaluable support is allowing us help find ways to ultimately improve treatments, resulting in more kids beating childhood cancer.